Poetry and jazz make strange and often wrongheaded bedfellows. Like comedy, a lot of it has to do with the delivery. The poet's voice can blunt a decent set of words by using the cliched rising in pitch at the end of a phrase or, in contrast, taking on a self-important or self-conscious/heh-heh-what-the-hell-am-I-doing-here tone, which is usually speaks to the level of the words they're speaking. And I'm sorry, but the poet's who think it's a good idea to verbalize the sound of free improvisation? They make me run the other way. Sarah Bernstein, violinist and one-third of Brooklyn's Iron Dog, adds poetry to the group's free improvisation and none of the bad trappings mentioned above factor into her work. In fact, it adds to the forward motion of the group's sound, spiking the energy up a bit. Typically her voice acts less like the center of the music, and more as an addition to the sound. Her delivery isn't animated, though it's not flat either. Some of her texts consists of two short phrases, others get more extensive and manipulated. The latter example comes in "Love Segment" where a series of "love" phrases (love entity, love surface, love cursive) get repeated, sometimes without the "love" in front of them, slower and faster, making the 13-minute track simultaneously fascinating and abrasive. In "Pain Glorious" she fires off a series of scraps reminiscent of Beat poets ("Pain glorious/ sunk-eyed furious/ pills, fun/ curious distraction/ allowed to keep the color/ keep the flame") so quickly that it's hard to follow the lyric sheet along with her. As she repeats them, Bernstein manipulates her voice through a delay/reverb pedal, so even as she slows down the verbal delivery, the package still has a mystery code put on them, which seems to imply that the sound serves a more important role than the words themselves. Sound is something that Bernstein and her trio mates Stuart Popejoy (bass guitar, synthesizer) and Andrew Drury (drums) build especially well. Each one of them stretches the uses of their respective instruments to a point where it's often hard to tell who's doing what. "Like the Slow Train" mysteriously opens the album with what sounds like a banjo loop, an instrument that no one plays. In "Pain Glorious" Bernstein's effects make her violin sound somewhere between Mary Halvorson's guitar skronk and Taylor Ho Bynum's half-valve cornet blasts. In this track especially the trio really listens to each other, with the violin playing shards of melody as the rhythm section creates a churning drone beneath her, marked by Drury's array of bows and mallets on a dustpan and on the drums (he mentions several items such items in the liner notes). 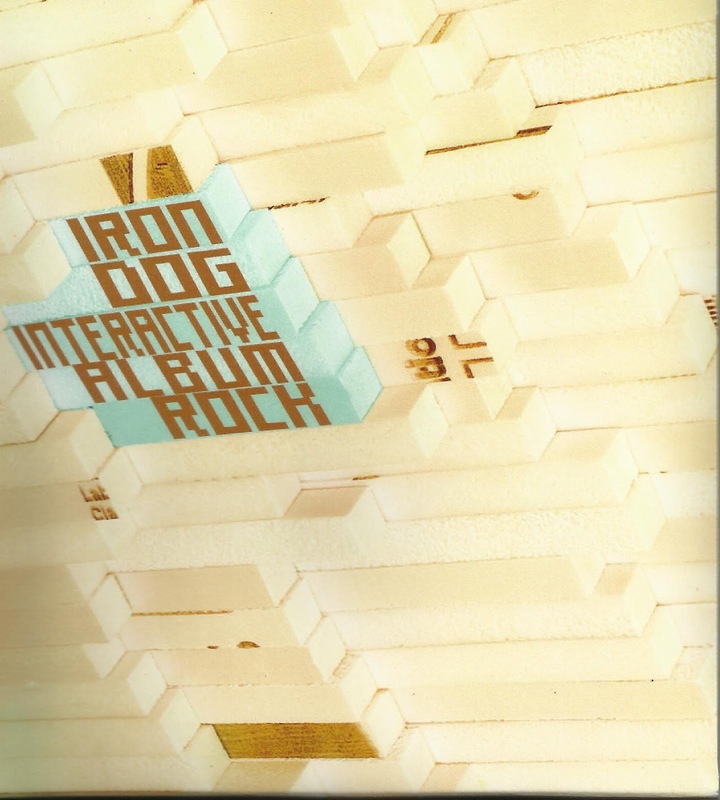 The reason the group decided to call this Interactive Album Rock is not blatantly clear, but I'm guessing it might have something to do with the effect it can have on listeners with open ears. These three make a solid improvisation unit and they've succeeded in the admirable task of removing the bad stigma of the poetry-and-jazz combination. Those qualities can make us feel like we can get involved in the music.